War On Waste is a documentary series from Craig Reucassel focused on the impact and solutions to material waste in Australia. Largely focused on the earlier BBC series Hugh’s War on Waste, the Australian first series of War On Waste was filmed in multiple locations across the country. The first series of War on Waste ignited conversations around the country about the staggering amount of waste Australians create every year. From food, fashion to the humble coffee cup, the series challenged pre-conceived ideas and forced Australians to change their behaviours, attitudes and habits. While many Australians embraced the #BYOCoffeeCup movement from the first series the battle is far from over when convenience store, 7 Eleven, confess that 70 million disposable cups are sold from their stores alone. They share their vision to combat the problem. After launching a successful podcast on the topic with ABC Radio host Wendy Harmer and winning a Logie for Most Oustanding Factual or Documentary Program he’s back in 2018 with a brand new series and the first episode screens on Tuesday 24 July at 8.30pm on the ABC. In the new 2018 three-part documentary series, the battle continues as the team investigates even more ways we can all help reduce the staggering volumes of waste we produce. Attention will shift to the amount of plastics we consume every day, and challenge everyday viewers and big corporations to re-think their reliance on plastic products. The series will also challenge people to become more social with new campaigns like #BYOWaterBottle and #saynotoplastic, to create real world change. The series will also look at how effective electronics recycling really is and where most of our electronic waste really ends up. War on Waste is compelling viewing for all Australians. It’s been instrumental in raising awareness and fostering a better understanding of what individuals and communities can do to help the environment by reducing the amount of waste ending up in landfill every year. When our food scraps are sent to landfill, they breakdown anaerobically (without oxygen) and release greenhouse gases, primarily methane (CH4), contributing to climate change. The impact of methane, is around 25 times greater than carbon dioxide (CO2). Composting food scraps rather than throwing them in the bin destined for the landfill, can be up to 25 times better for the planet, they still produce carbon dioxide as they break down, but methane is limited. The Urban Composter™ system was designed here in Australia, to specifically combat climate warming, designed for families with food waste and kitchen scraps in mind. The Urban Composter becomes your complete kitchen composting solution turning your unwanted peels and offcuts during preparation and the unwanted leftovers, into nutrient-rich fertiliser for your garden or indoor potted plants. and offering special deal on the compost accelerator, and refill. to View our War on Waste – special refill deal here. We continue to do our part to wage War On Waste with the Urban Composter, and a special deal on the compost accelerator, and refill – and continue to spread this message around the world, with everyone we meet at our tradeshows and expos. Will you join us on Tuesday 24 July for more War On Waste? We’d also love to hear your thoughts about the War On Waste series in the comments below. 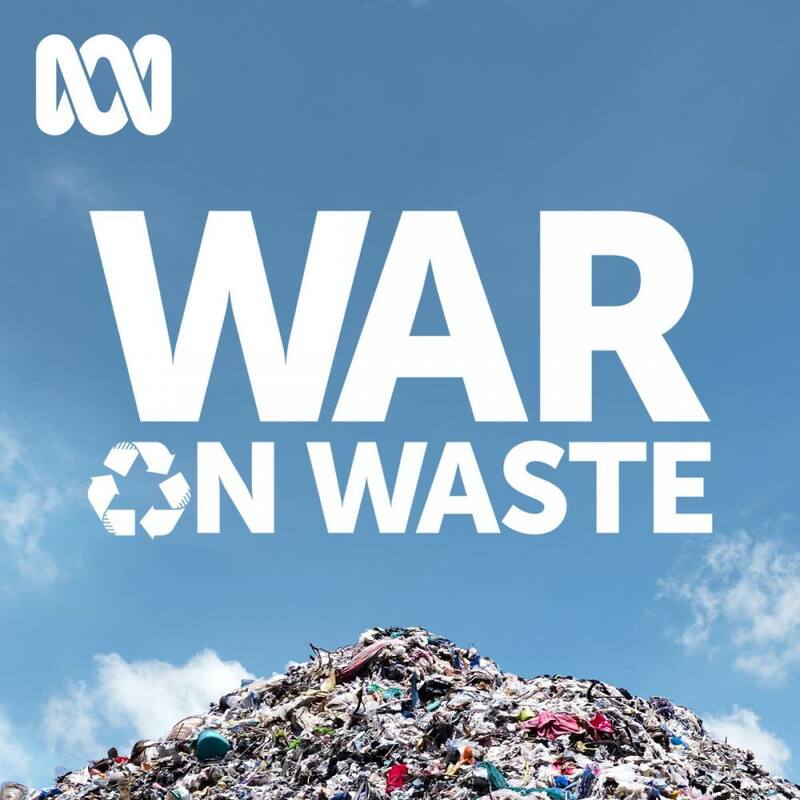 If you missed the first series of War On Waste you can catch it on ABC iView or listen to the podcasts.